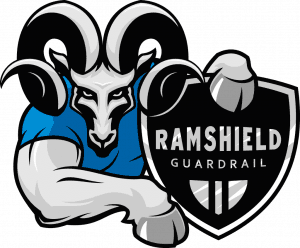 RAMSHIELD® is the latest innovation and advancement in w-beam guardrail barrier designs. 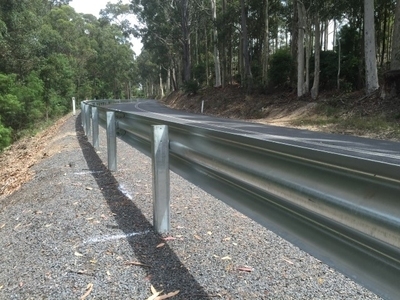 Developed by Safe Direction specifically for Australian conditions, RAMSHIELD® has been fullscale crash tested to MASH Test Level 3, providing a superior performance when compared to all existing Australian public domain guardrail barrier systems. Providing a forgiving roadside environment reduces the consequences for vehicles leaving the safe, travelled way. Hazards such as trees, utility poles, culverts and embankments are often located adjacent to roadways and relocating them is often impractical. In these instances, shielding with a longitudinal safety barrier, such as RAMSHIELD® is the most appropriate solution. W-beam barrier designs have developed over the years and are used to safely contain and re-direct errant vehicles away from nearby hazards. Safety barriers reduce the severity of run-off-the-road crashes and have made a significant contribution to the safety of our region’s roads. RAMSHIELD® has significantly advanced the containment level of w-beam guardrail by introducing patented technology into the behaviour of the post during impact. This results in a safer barrier design with fewer components allowing more metres of barrier to be deployed per public dollar to protect Australian motorists.